The Millennials are here. And the world is taking notice. Millennials today make up the largest demographic group in the U.S. Comprising of 80 million people. Their expected spending is estimated to stand at $600 billion. Accenture predicts that this amount will rise to $1.4 trillion annually or 30% of total retail sales by 2020! The sheer size of this population makes them one of the most powerful influencers of the retail economy. Driven by experiences above everything else, marketing to the millennial customer has to all about creating memorable experiences…experiences that integrate seamlessly into their environment that they can positively associate with. Having been born in the midst of the digital revolution, this generation is well conversant with technology. They are uniquely capable of integrating technology seamlessly into their lives and are comfortable viewing the world from their digital lens. Virtual Reality, or VR as it is more popularly knows, thus fits in comfortably in their narrative and is giving marketers new opportunities to evaluate the ways they connect with this demographic. VR has grown phenomenally over the past couple of years from a tool for entertainment and gaming to a revolutionary tool to connect with the users on a deeper level. Millennials, for example, not only look at VR for an elevated gaming experience but also as a necessary tool at work. A study conducted by Penn Schoen Berland shows that 58% of millennials preferred high-tech in-office perks like VR as opposed to the traditional ping pong tables or free snacks. 66% of millennials believe VR aids better training. Owing to the numerous opportunities of applying VR to drive experiences, it is hardly a wonder that the VR market is growing at an exceptional pace. According to a Zion Market Research forecast, the global VR market that was valued at “$2.02 billion in 2016 is expected to reach 26.89 billion by 2022, growing at a CAGR of around 54.01% between 2017 and 2022”. Today’s marketers have had to sit up and take notice of this shiny and attractive new technology. Caught in the midst of an ever-evolving digital landscape, marketers have to look at creating experiences that attract the consumer and keeps them engaged with the brand. Being the technology savants they are, millennials are drawn to the highly immersive and intimate experiences curated by VR. Millennials are also on the constant lookout for authentic experiences and VR presents itself as the frontier to give them exactly that. The quality of VR experiences are also becoming very high and are surpassing expectations of technology-oriented experiences. Marketers can now amplify brand experiences using VR. Honda, for example, released a 360-degree VR content that allowed the viewers not only view the new Honda Civic from inside but even allowed them to test drive it by playing a racing game. Ikea employed VR to build their interactive kitchen experience which allowed their customers to remodel their kitchens virtually. VR also gives marketers the opportunity to enable ‘self-insertion’ into media. Though this is not a new trend as there have been many fiction authors who take the first-person account, for marketers VR gives them the opportunity to enable this for their consumers when experiencing their products. The growing sophistication of VR experiences is making sure that these experiences take the consumer from being a passive viewer to an active participant. With VR, marketers can provide their consumers with access to things that they don’t usually have or help them experience something differently. Extreme sports, for example, is not something one can experience easily. But using VR, you can curate such an experience for the consumer. Adidas’s Climb a Mountain campaign is an excellent example of using VR for brand activation for Adidas TERREX products. Why is VR Becoming a Dominant Reality Today? 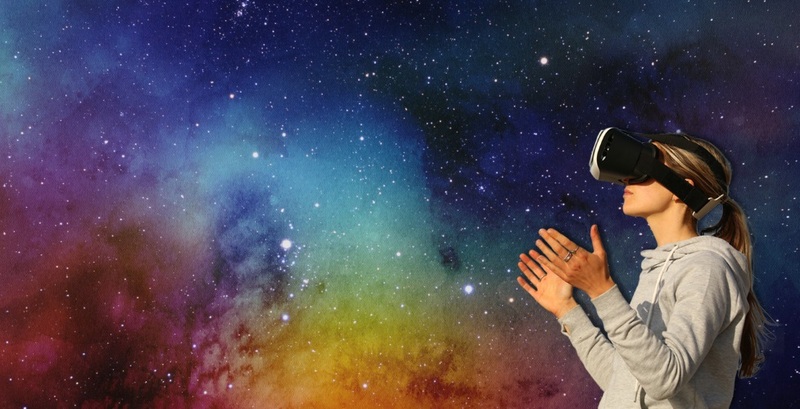 VR is becoming an active contributor to marketing success as marketers are realizing its power to create deep, meaningful and engaging experiences. VR marketing also has received the nod of Social Influencers with 95% of social influencers being aware of this technology. This is important as millennials are heavily influenced by these influencers who comprise of bloggers, vloggers, Instagrammers etc. with 42% of millennials following influencers on social platforms. Social Influencers are today touted to be more influential marketers than even Hollywood celebrities! Clearly, attracting them for brand activation becomes essential for success. The prohibitive cost of VR hardware was impeding towards VR adoption. However, with the price of VR headsets coming down, consumer interest in the same has increased. Smartphones too are coming armed with VR capabilities, making VR more ready for marketing. The high cost of development for VR experiences was also preventing marketers from adopting it in their brand activation strategies. Along with being effort intensive and expensive, developing the right experiences was also time-consuming. Today, however, the technology has matured and as its target audience has warmed up to it. It has also become much easier to create immersive virtual reality experiences without any programming. 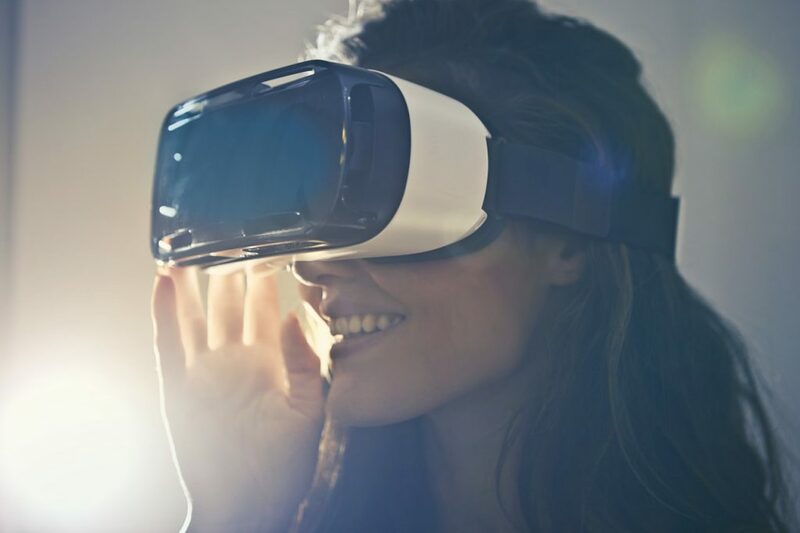 Marketers now have the capability to transform their content into immersive virtual experiences by using customizable, pre-defined templates and publish it for Web, Mobile as well as dedicated VR Glasses. While VR was a futuristic dream a few years ago, today it is a reality. The future is here. With the eLearning market expected to be worth over $200 billion by 2024, modern technology like virtual reality (VR) is all set to completely transform the eLearning landscape – not just across corporates for skill enhancement but also as a robust learning tool across educational institutes. Through the use of realistic images, audios, and various other formats, VR provides an exceptional learning impact – and takes learning outside the boundaries of the traditional classroom. Since learners can interact with an environment that replicates the real world, it ensures an extremely engaging learning experience. Today, VR holds unlimited opportunities for training: from basic manual process techniques all the way through to high-level executive leadership development in the workplace to continuous and uninterrupted learning in the academic sphere. 1. Immersive: VR is used to deliver truly immersive virtual training experiences. Through the use of VR headsets and glasses, you can create an entirely real-world interactive world, attract learners to enroll for courses time and again and enable them to enjoy a higher interaction level. By providing an environment that authentically reflects the real-world environment, VR helps to provide some context and situate theoretical knowledge. Learners can be transported into a world where they can apply theoretical knowledge and hone their critical thinking skills. 2. Safe: Through VR, learners can not only learn aspects of their day-to-day tasks but also learn how to apply skills in real-life. This is especially true for employees working at risky, dangerous and accident-prone work sites. Through VR, you can train your employees on how to handle difficult tasks without the risk or the cost implications of placing them in a dangerous site or a remote destination, while simultaneously avoiding injuries and mitigating risks. In the mining industry, for instance, employees can be taken on a virtual tour of the mines. Since it’s dangerous to send employees to real-life mines unless they’ve been trained in them, VR makes it easy to train them on the hazards they will encounter down under – without actually putting them there. In another example, the Winterthur Gas & Diesel company uses virtual reality for training of the engine room crews at the Marine Power Academy Training Centre of Hudong Heavy Machinery Co. in China. 3. Realistic: The most common training need triggering the use of VR is to expose learners to a large range of realistic experiences. As classroom or eLearning provides learners very little freedom to practice the application of skills they’ve learned, VR allows them to practice what they’ve been taught with increased efficiency. For example, VR can be very effectively used to train employees on large-scale machinery such as a large extraction equipment or drilling machines without encountering any practical challenges. 4. Engaging: VR allows you to provide training content in a highly engaging manner. By simulating real-life scenarios directly onto standalone headsets, you can provide a 360-degree view of best practice techniques of across a range of topics – from hazardous onsite locations to flight simulators, medical practices to engineering processes – and instantly transport learners from the training room directly into an engaging experience. Whether you have a group of medical students learning the criticalities of a surgery, a team of engineers learning the nuances of a new product line, middle managers working on managing a retail warehouse or C-level executives taking an advanced management program, VR makes it easy to create any scene and truly engage learners within the training session. Students and employees can learn to deal with difficult situations with striking realism, and take role play and situational practice to a whole new level. 5. Convenient and cost-effective: In contrast to other training methods that involve the use of highly innovative training materials and learning resources – that are either limited or expensive to purchase in huge amounts – by modeling the real-world environment into a virtual world, VR is extremely convenient and cost-effective. Learners no longer have to travel to attend training courses and can help in saving training time and budget. Walmart employees, for instance, make use of VR to understand the frenzy that black Friday is. By virtually standing in the middle of all the madness, employees can prepare themselves for the swelling crowds and panic-driven shopping. Employees can also learn about customer service and understand the operational aspects of the store like how items should be stacked and arranged. Enhance learning outcomes With the VR training market predicted to grow to $6.3 billion in 2022, the sensory-driven interactive environment that it offers is unmatched. 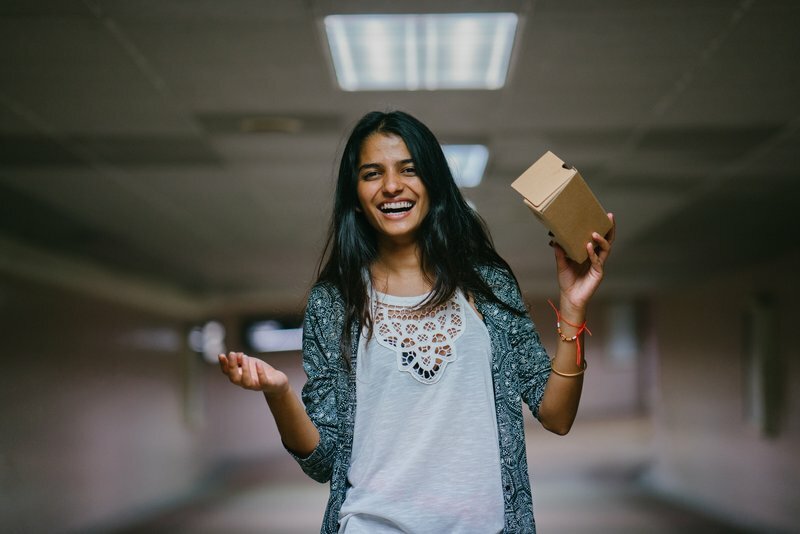 By replicating experiential learning activities in the classroom environment, it delivers a good degree of reality – which cannot be achieved through text, audios, or videos. VR in eLearning provides the opportunity to quickly and easily build and distribute relevant, captivating scenarios that add a deeper level of understanding to drive self-directed learning in students and enhance the skills of employees, without significant time or financial investment. 7 Immersive Microlearning Modules You Just Cannot Miss!